The public transportation system in Dubrovnik relies on road traffic, i.e. public buses. There once was a tram, but it’s nothing but a distant memory today. The busses, though, still keep the orange color which the tram once had, and are, hence, easily spotted. 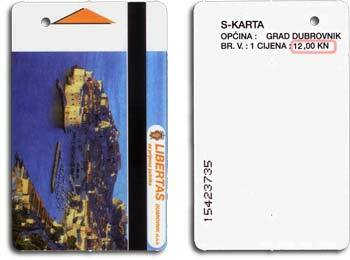 The bus company name Libertas summarizes the philosophy which Dubrovnik thrived under – freedom. Local busses are efficient and reliable. Tickets can be purchased at many different locations, from newspaper kiosks, Libertas vending points on major bus stops, at places like the Dubrovnik Travel Corner and inside busses. The latter comes at an additional 3 kuna fee, 15 kuna instead of 12. The newspaper kiosks will sell you only the so-called “S” tickets (unlimited city rides within 1 hour), but we also stock the Daily Pass (unlimited city rides within 24 hours). There are no other kinds of tickets available in free sale. At Dubrovnik Travel Corner, we also stock Dubrovnik Card, which includes different bus tickets, depending on the duration of the Card. Inquire on the spot and we’ll gladly advise on the best option for you, just bear in mind that tickets can only be purchased in the local currency. In Dubrovnik you can pre-purchase local bus tickets on every newspaper kiosk, or “Libertas” vending points which can be found on major bus stops. Newspaper kiosks are selling only so called single “S” tickets. However, Dubrovnik Travel Corner shop sells both Daily Bus Pass and single “S” tickets. Bare on mind that tickets can be purchased only in local currency. 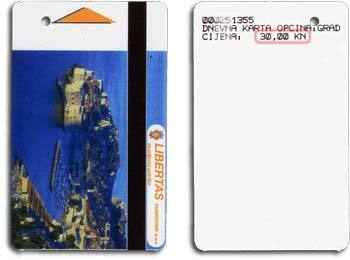 Single Bus Ticket covers one hour of riding on Dubrovnik public busses. 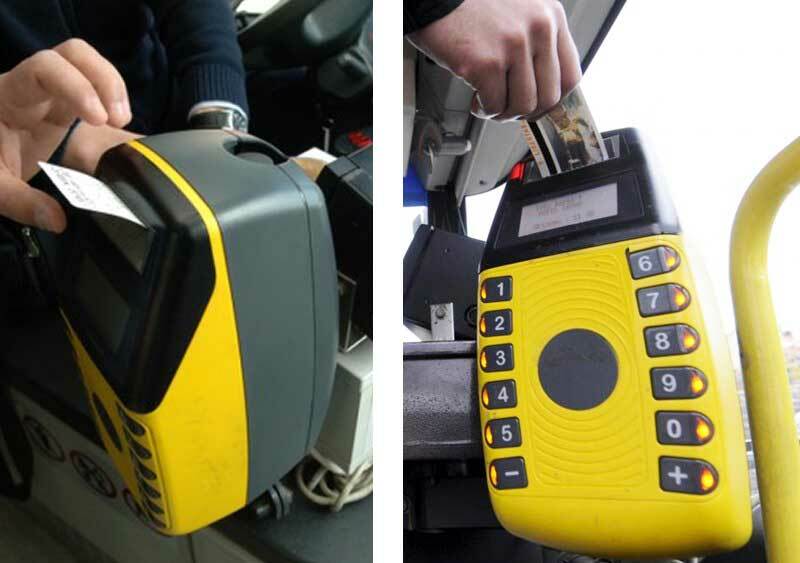 When you buy your bus tickets in Dubrovnik Travel Corner or at a kiosk, the ticket becomes validated once you stamp in upon entering the bus, by the driver. Cheaper and not holding up any ques, the S-ticket comes at 12 kuna (app. €1.6) and allows you to switch bus lines. At 30 kuna (app. €4.5) cost, the Daily Pass gets you unlimited bus rides in a 24-hour period from when you first stamp it. This, you are obliged to do every time on a bus. The card gives you flexibility to visit more places in a day and also an insight into an inevitable part of local living. 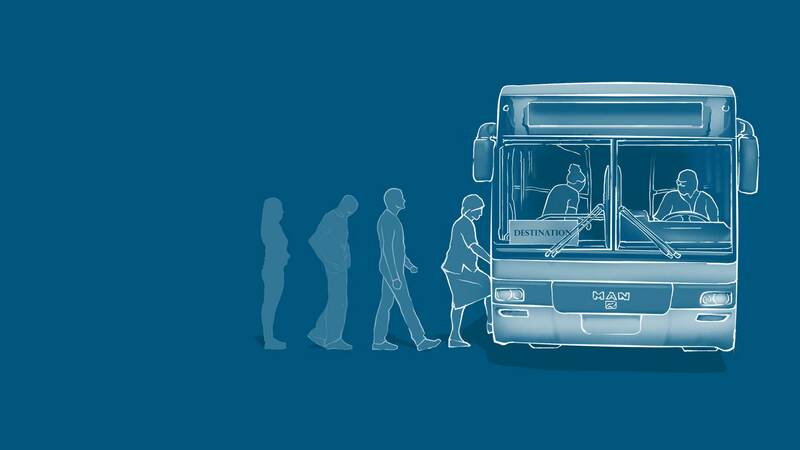 When you stumble upon the right bus and catch the drivers’ attention with an impulsive dance, hop on the bus and get a one-hour ticket for am ameliorated price of 15 kuna (12 kuna at Dubrovnik Travel Corner or kiosks). Spontaneity comes at a price around here, but often rewards! The ticket allows you to ride on town public busses for one hour and to switch lines as you please. Although the entire town of Dubrovnik comprises no more than 14.5 square kilometers, the distance between some neighborhoods ranges up to twelve kilometers. It’s the bays, the hills, and the swirling roads that play games with your mind, making everything seem really close. Luckily, these areas are scenic, both on-foot or on bus. Aside from the Old Town, discover some beautiful areas like Lapad, Boninovo or Ploče. Still, if you’re short on time or simply don’t fancy long walks, getting familiarized with the local public transportation system comes in handy. The City-owned public bus company Libertas works hard to keep up with trends in public transportation. 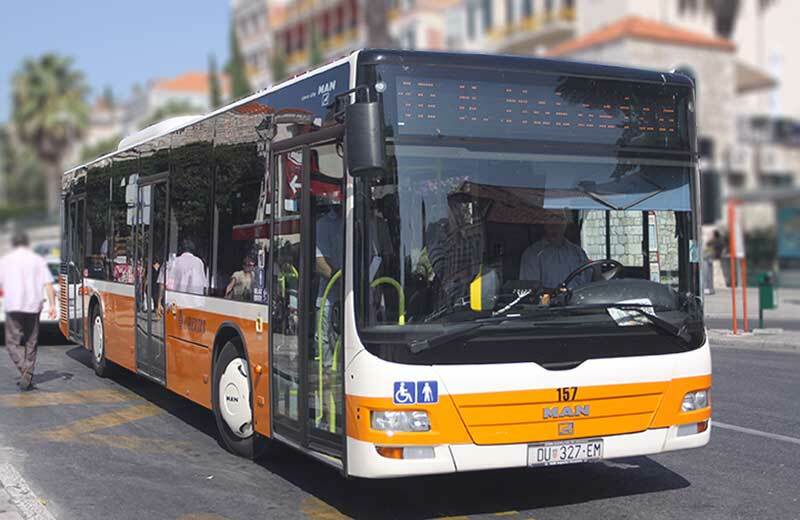 Most of the buses in Dubrovnik are modern MAN Lion’s City low-floor city bus series, with easy entrance and platforms for wheelchair access. They are generally of a pleasant interior, air-conditioned and with comfortable seats. There is a limited number of seats and standing spots on each bus, still – they tend to get busy in the peak season, especially on frequented lines, for example Lapad. The good news is that most of these distances, although large in Dubrovnik terms, are actually quite short, barely over 20-minutes. You can only enter local buses from the front door, passing by the driver who can sell you a ticket if you did not buy one beforehand. Be prepared to have 15 kuna in change, otherwise you risk the rage of the ones waiting longer behind you. You should insert the ticket into the ticket machine next to the driver, and insert with the pointer down and the picture towards you. Bus stations are spread out conveniently around Dubrovnik, not too far apart, approximately every 500 meters. Most stations sport a uniformed look with transparent-poly-framed waiting areas and an info-board on times and directions of bus lines. The timetables displayed on the bus stations provide information on bus departure times from the first stop, not the arrival times to your stop! Luckily, in 2015, Libertas started introducing LED info-displays, now available on most major bus stops, informing travelers on waiting times for upcoming buses.